While director David Gordon Green’s new Halloween film has been drawing praise for keeping with the spirit of John Carpenter’s original film, the direct sequel almost went one step too far. Green and co-writer Danny McBride hatched the idea to make a new Halloween movie set 40 years after the events of the first movie, serving as a direct sequel to the legendary horror film. They hit upon the notion to jettison any and everything that has been done or depicted in every single Halloween sequel, including the Carpenter-penned Halloween II which introduced the revelation that Michael Myers was actually Laurie Strode’s brother. When Green set about crafting this follow-up, he was trying to find ways to tell the audience that this movie is a true sequel to only the first Halloween. Green previously revealed that he toyed with the idea of reshooting the ending from the original Halloween to open the 2018 film, which would freshen audiences up on what Jamie Lee Curtis remembers from her one-night encounter with Michael Myers. 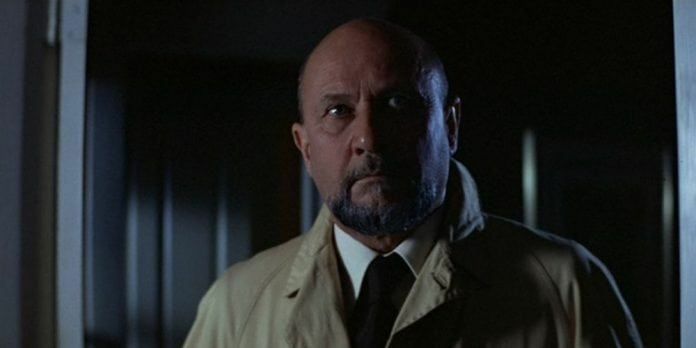 Pleasence reprised the Loomis character in Halloween II, Halloween 4: The Return of Michael Myers, Halloween 5, and Halloween 6: The Curse of Michael Myers so there’s certainly a lot of mythology left over for the character, which is likely why Green and McBride hit upon the idea of killing him off in the first place. But this is probably one of those instances where leaving it up to the audience works in the film’s favor, and based on the critical response thus far, Green’s Halloween does a great job of telling a story that’s very simple and direct in its focus. Look for more from our interview with Carpenter on Collider soon. The film opens in theaters on October 19th.